Home / Referee / Become a futsal referee! Why Become a Futsal Referee?? If you’re on this page, you’ve at least considered the idea of putting on the jersey, badge, and whistle and taking charge of a game. 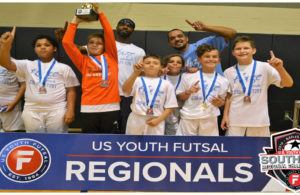 Refereeing can be an enjoyable and fun experience, and a great way to stay involved in the beautiful game of futsal. Read on for some of the great benefits of being a Referee! Refereeing a futsal game is good exercise. You can be inside with AC and run around, enjoy exciting games, and make a few dollars. It can keep you in shape for your own sports, help you lose weight, or just have some fun. The game needs referees. Referees are there to make sure the game is fair, fun, and safe. You are doing a service to the community and to the players, coaches, and fans. Just remember, people have been playing the beautiful game for a long time and some of the best games ever played were in backyards, parks, or backstreets without a single fan, coach or referee. Just players who wanted to play and just enjoy kicking the ball around. You are not bigger than the game. Life is full of challenges and being a referee is a perfect way to learn how to meet them head-on and know that you can handle them. Futsal is an emotional game. Players get excited. Fans get excited. Coaches get excited. Learning how to cope with their emotions while keeping yours in check will serve you well throughout your life. Other challenges are pushing yourself to learn more, run longer and faster, and work better with your partners. As the referee, you are in charge and your decision is final. However, that does not mean you are not responsible for your actions and that you are all-powerful. A referee who officiates because of the power usually does not last long. Players, coaches, fans, and fellow officials sense this power hunger and soon want to avoid you. There are not too many things that a young person can do that pays as well as being a futsal referee. You can work for a few hours and make some pretty good money. As you improve and work higher level games, the money improves. The hourly rate is higher than working at a fast-food restaurant and you can work outside. Don’t kid yourself though. You won’t get rich and the season does not go year-round. There will some weekends where you want to do other things. The money is good but it’s not worth it all by itself. You need to look for more than just money to enjoy being a referee. Knowledge is a great thing. The more you know, the more you can do and see. With a complete knowledge of the Laws of the Game, you are a better referee, a better player, a better coach, and a better fan. This training package and the clinic to follow is the beginning of this journey to learn more about the game and the Laws. You must never stop learning. 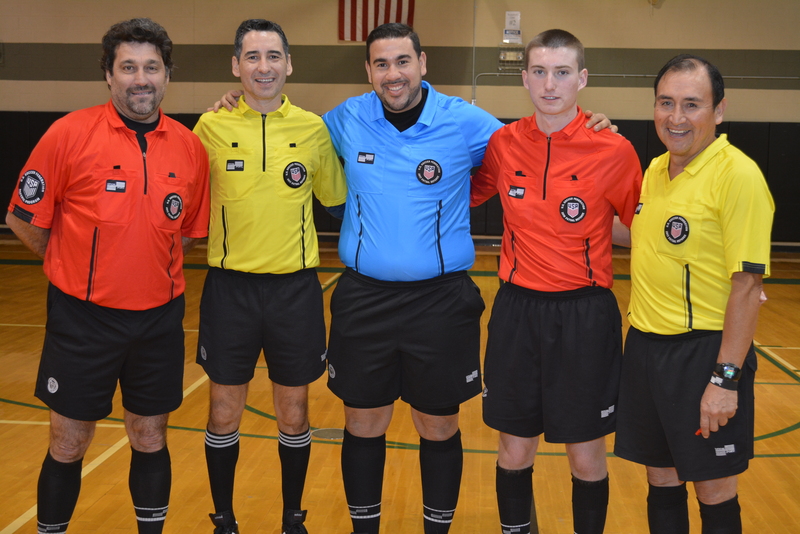 Becoming a Futsal official is a great way to meet friends that have similar interests. Working with different referees help you understand how different people can be so much like you and that you have as much to learn from them as they have to learn from you. Some of the people you will meet will become your friends for the rest of your life. Take the time to get to know them and understand them.